We are specialist in developing bespoke custom based solutions for all types of businesses. Our software solutions are fully-fledged, constant, tested & bugs free. We follow quality principles that different us from others. This ensures that our solution works for you, works well and keeps working. We give friendly support to our customers. We provide best readymade and customized solutions at cheap price to our customers. We expertise in developing applications, costing new or modified systems, producing detailed specifications and writing the programme codes, testing the product to ensure that it operates satisfactorily, training users, handling support and feedback. 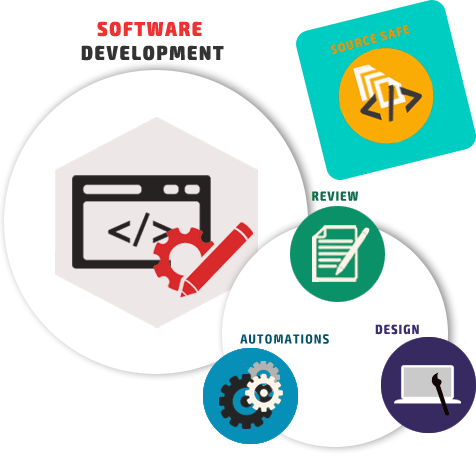 Our core area for application development is by using wide stream of web technologies which includes HTML, XHTML, PHP, and CSS. We offer database solutions using Oracle, MySQL open source database and Microsoft SQL Server 2005/2008 in which we specialise in SAS for business analytics. We also work as long time IT contractors for businesses and organizations by providing continuous software solutions and support.